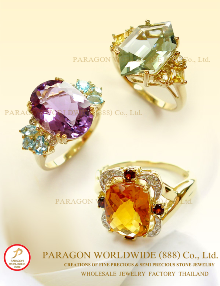 Wholesale gold and silver jewelry factory thailand | 925 Sterling Silver Ring Smoky Quart and Citrine - NR9434 | Jewelry with precious and semi-precious gemstones | Sterling silver 925 and 14k jewelry | Gold 10k 14k 18k jewelry | Paragon Worldwide (888) Co., Ltd. Bangkok Thailand. Paragon Worldwide (888) Company Limited. Also available in 14K, 18K, or Silver and Gold 18K. Please inquire for other stone colors. 1) Minimum purchase (Mix items) : USD 3,000.00 per order. 2) No minimum quantity order (per style). 3) All prices are in US$ ex-factory. © 2008 Paragon Worldwide (888) Company Limited. All right reserved. 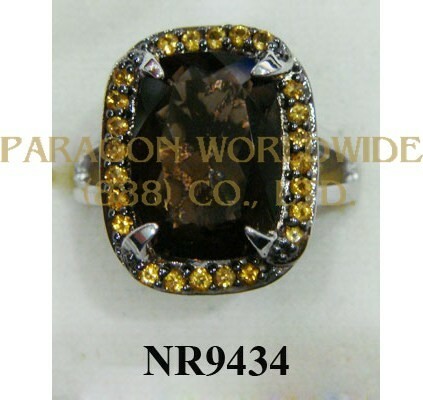 Wholesale gold and silver jewelry factory thailand. Jewelry with precious and semi-precious gemstones Sterling silver 925 and 14k jewelry. Gold 10k 14k 18k jewelry. **WWW.PARAGON-WORLDWIDE.COM Shop. All Rights Reserved Product Images jewelry. May not be used for commercial purposes. Or any other action. Without permission.